Born with naturally curly hair and don’t know what to do with it this summer. Why not follow in Sarah Jessica Parker’s footsteps and get gorgeous waves. Hair stylist, salon owner and Curl Talk author, Ouidad, tells us how all you curl girls can accomplish this. 1. After shampooing and conditioning, leave about 25% of the conditioner in hair. 2. Separate hair into sections about 2 inches wide and 2 inches thick for bigger waves. 3. Apply styling lotion to each section evenly working all the way up to the top of the head. 4. When you get to the top, create a side part. 5. Take the side part section, apply styling lotion and create a wave pattern with the Ouidad Rake & Shake method. 6. Try not to rake too much or you will create too much bounce. 7. Allow hair to set, then gently diffuse the hair without placing in the diffuser, or again you will create too much bounce. 8. 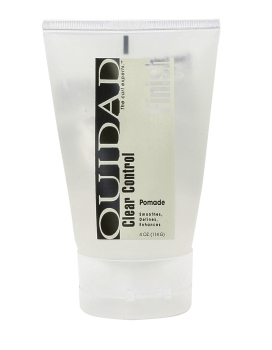 Once hair is completely dry, apply a pomade such as Ouidad Clear Control Pomade by rubbing palms together, pulling hair into a mock ponytail and running hands through. For the final touch, add a dollop of pomade at the top of the head to smooth any flyaways.